The Washington Wizards traveled to London to take on the New York Knicks on an international stage. Here’s everything you need to know about the game. Can the Wizards keep the momentum going? Washington is coming off a win and a double-overtime loss to current top-seed Toronto. It’s been promising to see them compete against the top teams in the East – especially playing without star John Wall, who is out for the season. A note on their opponent: Enes Kanter didn’t join his team on the trip due to his concerns over his safety. He’s an outspoken critic of Turkish president Recep Tayyip Erdogan and according to reports, Turkish authorities issued a warrant for his arrest. Coverage begins at 2 p.m. on NBC Sports Washington. Livestream it here. 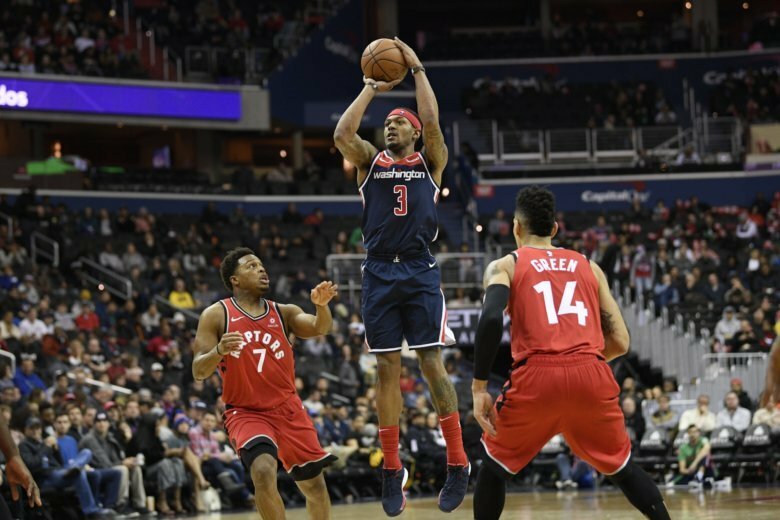 “That loss hurt” – Bradley Beal on Twitter after Washington’s heartbreaking loss to Toronto on Sunday. Washington beat the Knicks 110-107 on December 3. Listen to a podcast about the Wizards’ trip to London here.